Ryan Urban is the Co-Founder and CEO at BounceX – the leader in cloud-based behavioral marketing and the fastest growing software company in America. Under his leadership, Bounce Exchange has been ranked number one overall for both employee retention and career development by ComputerWorld, named one of the best places to work in NYC by Crain’s New York, and honored as one of Fortune’s best places to work. A veteran of the ecommerce space, Ryan was formerly Director of Acquisition at Bonobos and prior to that, Head of Ecommerce at Brickhouse Security. He has served on the advisory boards of both BabyAge.com and Bonobos. 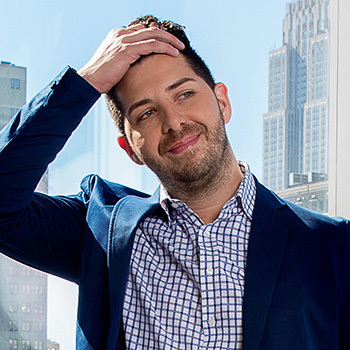 Ryan holds an MBA from Fairleigh Dickinson University and spends most of his free time working on the behavior of his dog – Telemundo.